M1's 1Q18 net profit of S$ 35m (flat y-o-y, +12.3% q-o-q) was 6-7% above consensus estimates. Circles.Life partnership, data revenue at inflection point and fixed services supported revenues. We expect consensus to raise FY18F/19F earnings and hence dividends by 5%/10%. Maintain HOLD with a Target Price of S$ 1.76. Data revenue inflection point, Fixed services and Circles.Life supported service revenue. 1Q18 service revenues of S$ 185m (+3% y-o-y, -14% q-o-q) was driven by growth in mobile and fixed services revenues. Mobile service revenues grew 3% y-o-y largely supported by greater contributions from Circles.Life, and data revenue reaching an inflection point of 61% of mobile service revenue whreby data revenue growth outpaces legacy revenue decline. Fixed revenues increased to S$32m (+14% y-o-y, -12% q-o-q) due to higher fibre customer base and contributions from corporate and government segment projects. Lower handset subsidies, depreciation & amortisation costs and taxes uplifts earnings. 1Q18 net profit of S$ 35m (flat yo-y) was 2-3% above our expectations while consensus expected 6-7% decline in earnings. M1 has restated FY17 proforma numbers due to the mandatory change in the accounting policy from FY18 onwards, which we have updated in our model too. However, this will not have any impact on cash flows. Depreciation & amortisation costs declined 4% y-o-y as some 3G network assets were already fully depreciated. Tax expense also decreased 15% y-o-y, lifting up earnings further. We do not think the 700 MHz spectrum will be available before 2H19 as Malaysia and Indonesia are using this spectrum for Analogue TV, causing interference. As such, we are not projecting any amortisation for the S$ 180m spectrum cost over the next 12 months. Consensus also expects M1 to lose more revenue share than its peers to TPG, which we think is unlikely due to the former's partnership with Circles.Life. Telco to smart communications provider. Going forward, we project Fixed services & IoT to contribute ~30% of service revenue in FY20F (versus 16% in FY17), reducing the drag on revenues from the entry of TPG. Going forward, M1 plans to scale up infocom technology (ICT) capabilities and solutions over connectivity. The move to newer pastures is to capture opportunities in IoT, cloud computing, data analytics, cyber security, and FinTech and Smart Nation initiatives. 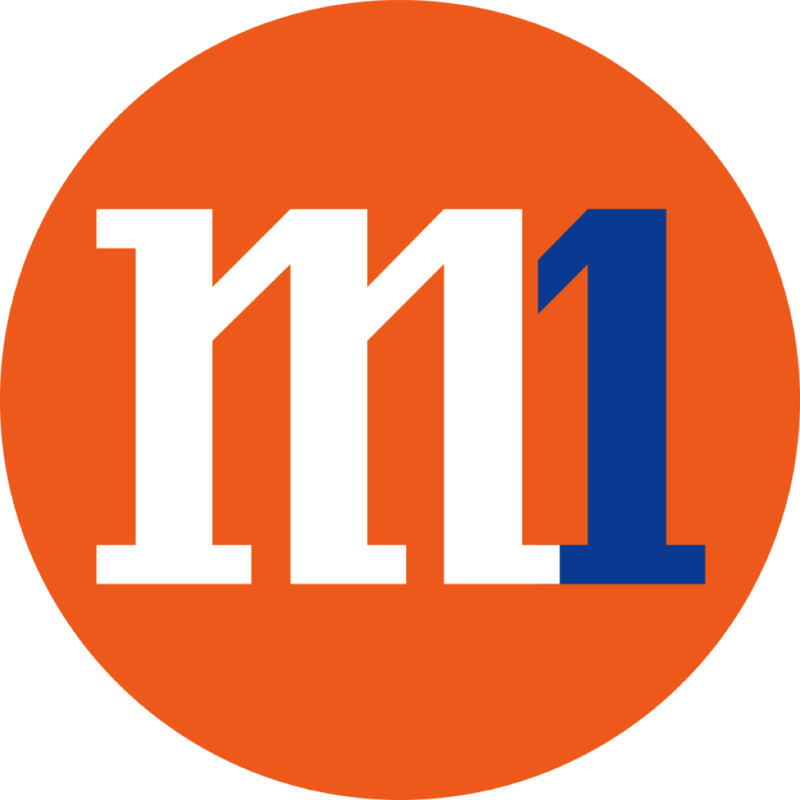 M1 has already signed several MoUs to develop its IoT business portfolio. The telco is also on the lookout for acquisition opportunities in complementary and adjacent businesses to achieve the desired contribution from ICT and digital business segment. M1’s balance sheet has remained strong with its relatively consistent capital expenditure and dividend payments. The company expects to incur S$120m in capex in FY18. M1 will also incur another S$188m in FY19/20 for the 700 MHz spectrum acquired in the 2017 General Spectrum Auction. We believe M1’s cash generation and flexibility would further lever its balance sheet to easily support current and future spectrum needs. and network expansion plans. TPG being aggressive in its network rollout and advertising is a key risk. Any potential competitive action by TPG such as handset subsidies to poach subscribers could negatively affect the company’s stock price. TPG aims to commence operations in Singapore in 2H18 and has already announced its first mobile product aimed at senior citizens. Maintain Hold with a Target Price of S$1.76. We maintain our target price of S$1.76 based on DCF valuation (WACC 7.1%, terminal growth 0%) on the back of slower decline in mobile revenue despite TPG’s entry, coupled with new revenue from IoT.